"...Jim went on to Rivvy and when he left school he worked in the Co-op in Nuneaton St for a while. He went to London when he was 18 yrs old and he is now settled in Devon. 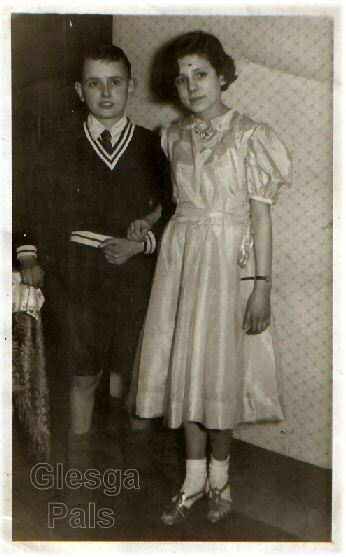 The family lived in Mordaunt Street in a single-end, there was six weans and my Ma & Da, Jimmy & Barbara McDonald. My Da died in 1977 but my mother still lives in Brigton, I don't think she could ever leave. Front Row 1. 2. 3. . Please contact webmaister if you can put a name to a face or have a tale tae tell. In oor day the primary school organised a qualifying dance for the pupils who were leaving tae go tae the 'big' school!
" 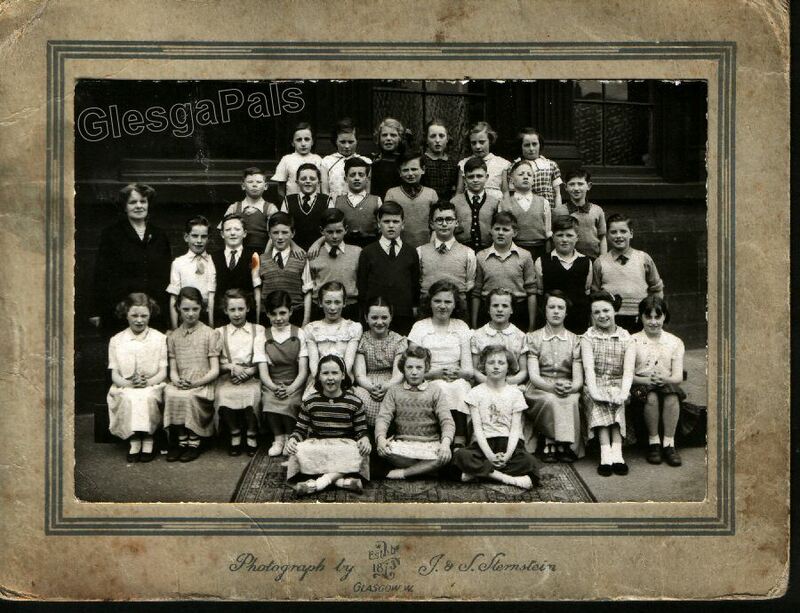 .. was checking the school pictures of Springfield 1954c and found my old class photo the names I remember are row 2 #10 Ann Leslie, row 3 #6 Donald Auld, #8 Andrew Ross,#9 Jim Herriot, #10 Ian Buchannan. row 4 #7 Alan Millen. from Donald Auld (zenith) "
" .. the girl in row 2 number 4 is *Marie Milligan. Now my wife Marie Robertson. She is also the girl standing with the little boy called Jim McDonald. Feb.2014 email, Ian Buchanan, Glasgow, Scotland. ....Re photo of Springfield Primary School 1954c here are some other names and correction 3rd row no.2 is Ian Buchanan (myself)no5 is Jim Malloch, no7 is Ian Bowman & no10 is Robert Jenkins.